Suite160 Las Vegas: CAN I KICK IT? 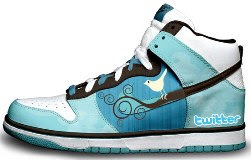 HAZE Nightclub welcomes the fashion trade show attendees in town with a sneaker themed spectacular. DJ Neva and DJ Scene provide the beats as trendy boutiques Knyew, Shoe Palace, Suite 160, Hush, Hippo Esthetics, and traveling sneaker marketplace Dunk Xchange invade HAZE. 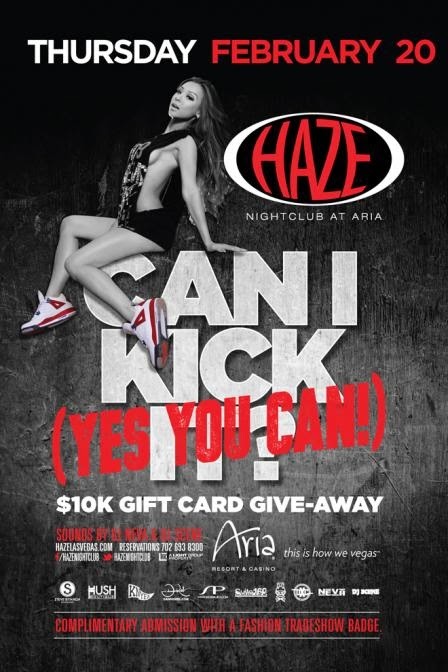 $10,000 in gift cards will be given away, so wear your best kicks and head to Aria for an unforgettable night. Admission is complimentary for anybody with a fashion trade show attendee badge.